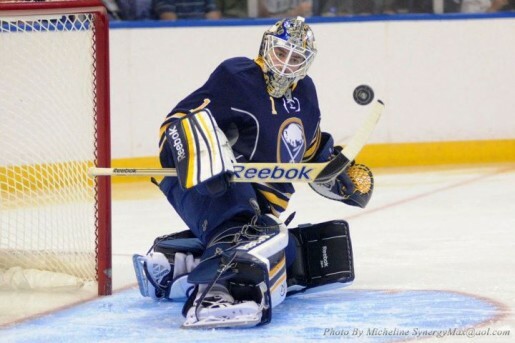 At 5’10”, Juuse Saros might not put fear into opposing skaters because of his size, but he sure has made shooters respect his game, especially over the 2012-2013 hockey season. Saros will enter the 2013 NHL Entry Draft as the top ranked international goaltender, and the young Finn has certainly done a fair amount of work to deserve such a label. Saros appeared in 37 games for the HPK U20 team of the Jr. A SM-liiga and posted a stellar 1.86 GAA and .933 Save Percentage. Not only did Saros’ performance over the course of the ’12-’13 hockey season merit him the top international goalie honors, it paved the way for him being named to HPK’s senior team in the SM-liiga. While Saros will probably be serving backup duties with the senior club during the 2013-2014 hockey season, his promotion to HPK of the SM-liiga speaks volumes of how much the goalie’s efforts have paid off in his native Finland. Saros’ breakout season in the Jr. A SM-liiga certainly boosted his draft value, but the statistics that the goalie amassed during his most current hockey campaign were not uncalled for. Over the years, Saros has proven himself to be a dependable netminder, despite all of the knocks against his height. Even though Saros might not have the optimal height for a goalie, he certainly makes the most use out of his natural ability. Not only is the Finnish netminder more than adept at playing his angles and remaining positionally sound, he plays a hybrid style of goaltending and can switch to and from the butterfly style when necessary. Although some might point to the fact that Saros leaves the top portion of the net exposed when he takes away the low ice from shooters, the goalie will have time to adapt to more experienced shooters in the SM-liiga and will undoubtedly tweak his positional play to combat some of his flaws. Overall, Saros would be a solid selection for any team looking to take a goalie in the middle rounds of the NHL Entry Draft, and the time that the goalie will spend in the SM-liiga will only help him improve upon his current skill sets. Whether or not Saros will be passed over based upon his height remains to be seen, but any team that decides to put their stock into the young Finnish netminder will receive a talented and competitive netminder who already has a mindset well above his eighteen years of age. Saros will likely be the first international goalie selected at this year’s draft and will likely be selected in the middle rounds of the NHL Entry Draft. 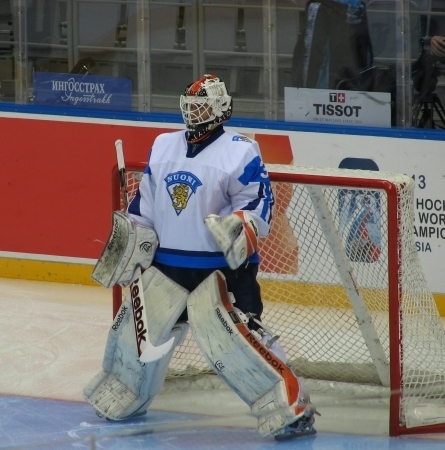 Saros has participated in a number of international tournaments as he has represented Finland’s U16, U17, and U18 clubs in international play. Saros has also been on two Finnish WJC-18 teams and performed superbly (7 GP, 1.86 GAA, .946 Save Percentage) at this year’s WJC-18 competition. No discernible flaws, though teams might hesitate on Saros because of his height. Leaves top portion of net open when taking away lower portion of the ice. Has drawn some comparisons to Jhonas Enroth because of height factor, but has enjoyed watching goalies such as Marc-Andre Fleury.